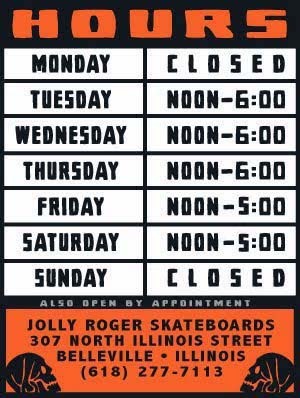 Jolly Roger Skateboards: Old School Wheels for Only 2,500 Pennies? Old School Wheels for Only 2,500 Pennies? I heard you have been looking for some old school wheels for cruising around the park. So, stop by on Opening Day and you can pick up a set of SMA "Landing Gear" 56mm/94A or Bullet "B.B. 's" 52mm/95A for only $25. *Some of the Bullets are slightly yellow but it won't affect how rad you will be.